Bates Jet MLS jet aircraft consulting services gives you the edge in aircraft lease finance acquisition aircraft marketing. Business executives want to make informed decisions. Bates Jet can supply your firm with valuable information to make correct decisions for all aspects of buying/ selling/ leasing and financing aircraft. For areas where we do not hold licensing such accounting or tax matters our legal and tax team can work with your legal/ tax team to help chart best solutions. Teamwork works wonders in this effort. If you have requirements, please call Bates Jet. Our consulting programs are tailored specifically in meeting your objectives. 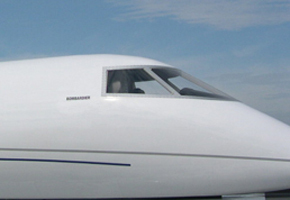 It pays to know how to title an aircraft to reduce tax liability, or to buy the best jet the market offers. Additionally, learning about a prospect who will buy your jet before your competitor knows about the same customer might be important to you. LACK OF MARKET KNOWLEDGE AND WEAK MARKET PENETRATION. In an unregulated sales industry where deals are few and stakes are high, many sales people have their own interests at stake, not yours. You might be convinced to buy a program, or aircraft etc., that in reality does not present the best value in the market. But, led by the promoter's eagerness for a pay check, and trusting due diligence to others, you could be taken advantaged of unknowingly. At Bates Jet, we help you sort out the wheat from the chaff in qualifying information you can bank on. If it's in your best interests not to complete a deal, you'll be advised not to complete the deal. Choose Bates Jet. Our corporate governance demands we work in your interest only. Since our roots are grounded in marketing and market research you'll end up way ahead using Bates Jet. Bates Jet consulting services are dramatically different.